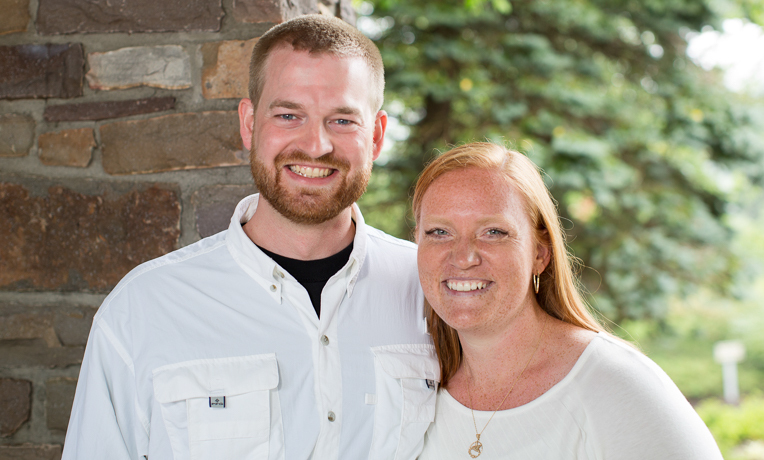 Dr. Kent Brantly with his wife, Amber. Amber Brantly, the wife of Dr. Kent Brantly, issued the following statement on Aug. 5. I have been able to see Kent every day, and he continues to improve. I am thankful for the professionalism and kindness of Dr. Ribner and his team at Emory University Hospital. I know that Kent is receiving the very best medical treatment available. I am also thrilled to see that Nancy arrived safely in Atlanta today. Our families are united in our faith in Jesus, and we will walk through this recovery time together. Please continue to pray for Kent, Nancy, and the people of Liberia. Our family is rejoicing over Kent’s safe arrival, and we are confident that he is receiving the very best care. We are very grateful to the staff at Emory University Hospital, who have been so nice and welcoming to us. I was able to see Kent today. He is in good spirits. He thanked everyone for their prayers and asked for continued prayer for Nancy Writebol’s safe return and full recovery. It was a relief to welcome Kent home today. I spoke with him, and he is glad to be back in the U.S. I am thankful to God for his safe transport and for giving him the strength to walk into the hospital. Please continue praying for Kent and Nancy–and please continue praying for the people of Liberia and those who continue to serve them there. I would like to extend my heartfelt thanks to the many people who have reached out to me and my family during this difficult time. Thank you to our good friends and thousands more who have been in constant prayer and fasting for Kent’s deliverance from this disease. Also, thank you to Samaritan’s Purse for their warmth, professionalism, and support they have extended to us. I remain hopeful and believing that Kent will be healed from this dreadful disease. He is strong and peaceful and confident in the love of Jesus Christ, which is his sustenance right now.